Drug Trafficking Investigations for the Criminal Defense With the Help of ISOG Private Investigator and Private Detective. Sometimes, people are convicted for international drug dealing, however they are innocent. In these cases, ISOG private investigators and private detectives can help find the evidence in favour of the defendant and help them get acquitted. Europe and the USA are leading this global fight against drug cartels anywhere in the world and more and more people get arrested in connection to this criminal activity. Drug trafficking is widely regarded by lawmakers as a serious offense around the world. Penalties often depend on the type of drug, and its classification in the country into which it is being trafficked, the quantity trafficked, where the drugs are sold and how they are distributed. If the drugs are sold to underage people, then the penalties for trafficking may be harsher than in other circumstances. For example, drug use and sale in the Philippines is punished with life imprisonment, whereas in Malaysia the same offence is punished with death by hanging. In many countries worldwide, the illegal drug trade is thought to be directly linked to violent crimes such as homicide. We can see how cruel the homicides committed in Mexico by drug cartels are. A serious debate about drug production, distribution and consumption has been taking place since many years at all political levels, local government level to international level within the United Nations Organization. 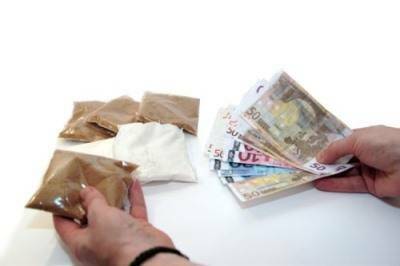 If you suspect that one of your family members might be involved with drugs, either for personal use or dealing, and wish to find the truth, ISOG private investigators and private detectives are expert in drug trafficking investigations and can find the evidence you need to persuade them to stop.